Race Max is the ultimate racing game experience. 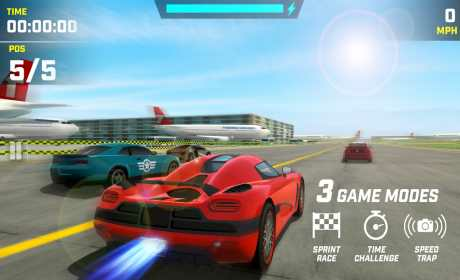 Race with legendary sports cars and take on different game modes including sprint race, time challenge and speed trap. UPGRADE AND MODIFY YOUR CAR! 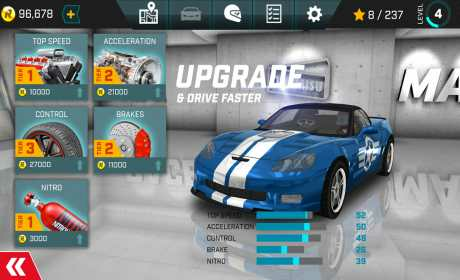 • Upgrade engine, acceleration, control, brakes and nitro of your speed machines! • Paint your car, customize rims and buy crazy new decals! RACE AGAINST AI CARS AND REACH LEVEL 20! 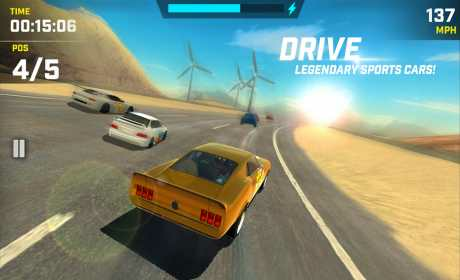 • Drive faster and beat your opponents! • Get more XP score, improve your level and unlock new cars! 5 DIFFERENT WORLDS, 12 TRACKS AND 3 GAME MODES! • Feel the thrill of driving in different, challenging worlds! • Try each game mode in every single track!